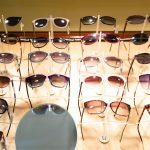 How different can the dollar store sunglasses really be from the expensive brands you see at high end mall stores? And is there really a difference to my eye health? The short answer– YES! There is a difference. 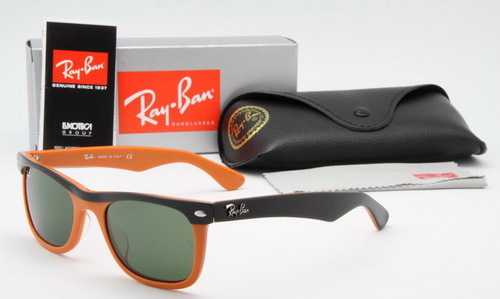 Protect the eye from UV radiation. This is crucial! UV radiation exposure is linked to macular degeneration and cataracts. Block intense/bright light to improve your comfort and reduce squinting which leads to wrinkles/crow’s feet. Reduce glare (including reflected rays off water and snow) to improve your visual comfort. Eliminate specific light ray frequencies to enhance contrast/improve clarity. Cheaper flea market/drugstore type sunglasses don’t provide all 5 benefits and can sometimes even make things worse! For example, if your sunglasses offer no UV protection, you increase your exposure to UV rays when the darker non protective lens cause your pupil to open wider and allow in more UV light! Also, you might not be able to trust that “UV protection” label on glasses purchased through less than reputable sources. Quality Sunglasses employ a variety of techniques to eliminate problems with light and improve the durability of your sunglasses. The most important thing is to find the best combination of UV protection, lens material, lens darkness, lens color, lens coatings, and frame design for your lifestyle. Does that mean you have to buy $300 sunglasses? Absolutely not! At Moorestown Eye we offer cool sunglasses with full UV protection from $39 to glasses with all of the treatments in bold above that can be upwards of $200. We also carry both designer and non designer brands since style counts! Take the time to try them on and compare. You will see the difference! Save time by completing the form before you come in! Open 2 Saturdays a month. Please call for an an appointment.